Hello and welcome back to another Forgotten Hope 2 update. 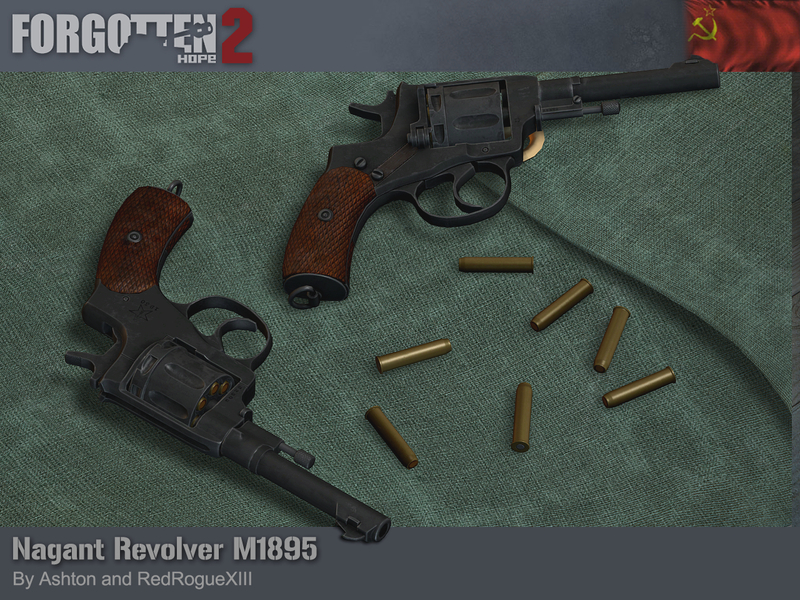 Today we have a render of an interesting revolver that was both advanced and already obsolete when it was introduced: the Nagant M1895. The Nagant brothers were well known in the imperial Russian court due to their role in the development of the Mosin Nagant rifles. In the 1890s, the Tsarist army was looking for a replacement to their ageing Smith and Wesson Model 3s, and the design by Léon Nagant was adopted in 1895. The Nagant is a gate loaded revolver, a conservative choice in a period of top breaking and swing out cylinders. Unusually, the cylinder is cammed forward before each shot, allowing the brass cartridge to form a gas seal with the barrel. This was felt to be important, as it allows for an increase in muzzle velocity, it however had an unintended side effect of allowing the Nagant to be suppressed. In the early 1930s, the Mitin brothers developed an expansion type suppressor using nine 8mm thick rubber seals to capture the gas behind the bullet. It was clamped over the end of the barrel and required the use of special ammunition with pointed bullets due to the rubber seals. A similar design would later be developed for the Mosin Nagant rifle. 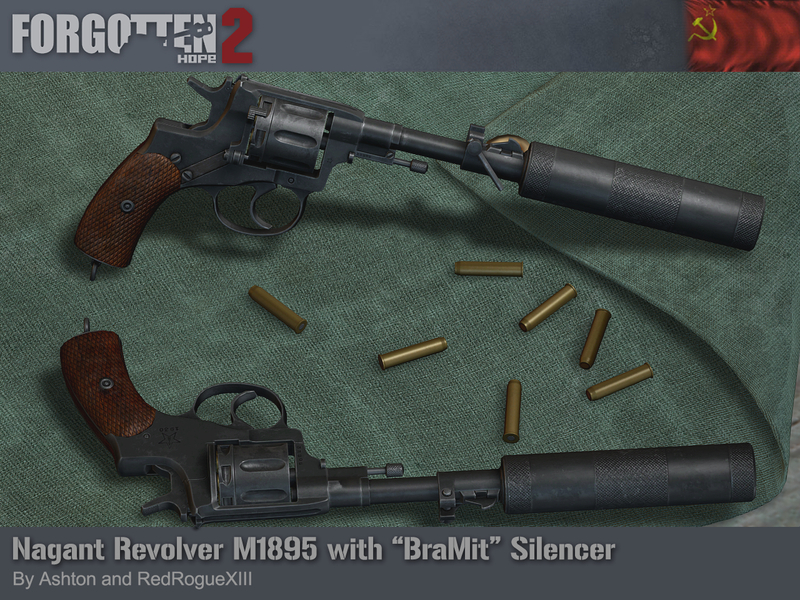 Many of these suppressors were used by partisans behind German lines. The Nagant M1895 was produced all the way from 1896 through to 1945. Intended to be replaced by the Tokarev pistol, it was put back into major scale production during the War. Ours was made by Ashton and RedRogueXIII. Additionally, before we go, we just have time for a video produced by Mayhemic.MAD that shows a visualisation of the SVN used for FH2 development as the years have gone by. That's all for this week, but be sure to come back next time for another update. Until then, feel free to visit our Discord, our public forums, and/or our Twitter and Facebook pages to discuss this update and other news. The Phoney War was an eight-month period at the start of World War II, during which there was only limited military land operation on the Western Front. The term was coined by journalists to derisively describe the six-month period (October 1939–March 1940) during which no land operations were undertaken by the Allies or the Germans after the German conquest of Poland in September 1939. 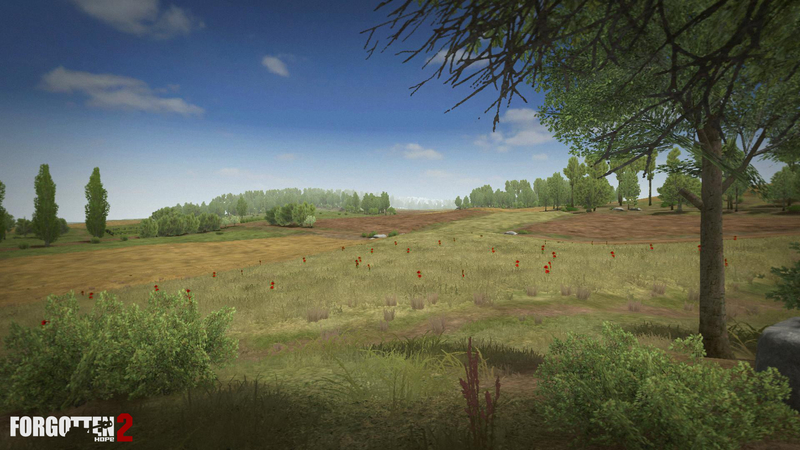 To encapsulate the unique nature of this period on the Western Front, we’ve introduced a brand new gamemode: Sitzkrieg. In this mode there are no flags to take and no weapons to use. 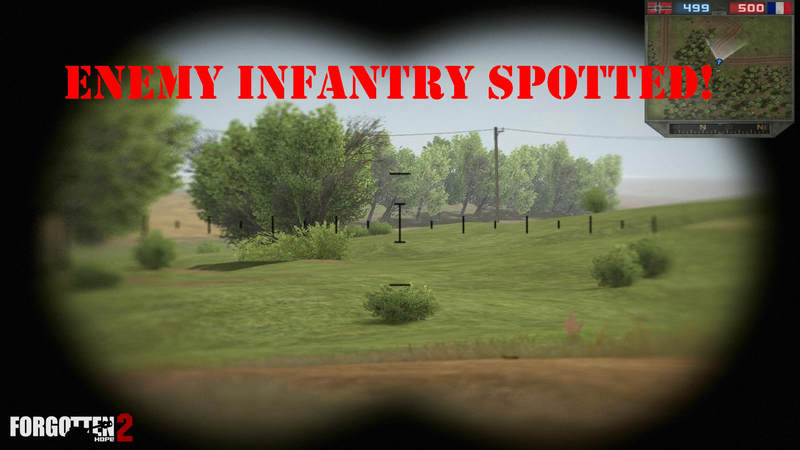 Instead the objective is to observe the enemy with binoculars from the cover and safety of your own trench. At the end of the round, the team with the most “enemies spotted” wins! If you kill an enemy before the timer hits zero, your team loses the round instantly, so make sure not to fire that rifle in anger! Obviously this gamemode is very much an early work in progress, but we would gladly like you all to come along and help us take a look at how it plays. 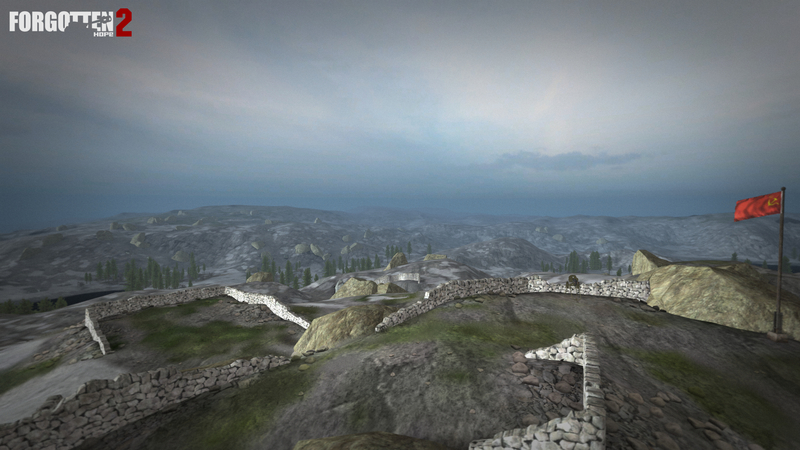 Towards that end, we are planning on having a gameplay testing event similar to our recent test of Motovskiy Bay. 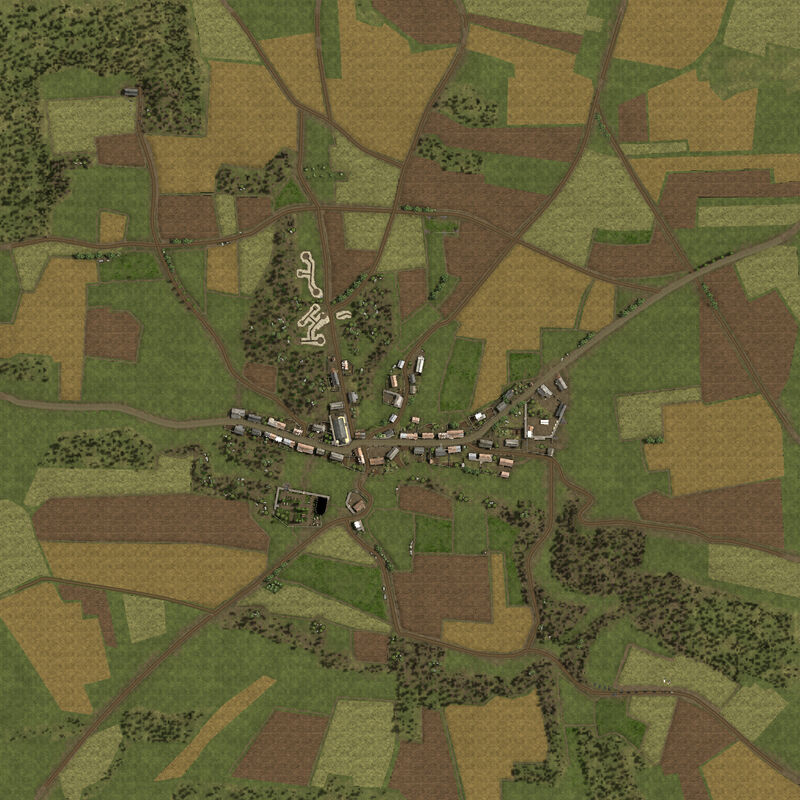 This will be a chance to iron out any bugs and issues with Sitzkrieg, as well as for you to get a preview of the gorgeous upcoming map Phoney War. We will be announcing the time and date of this test over on our Discord server within the next few days, be sure to join to get the latest scoop! 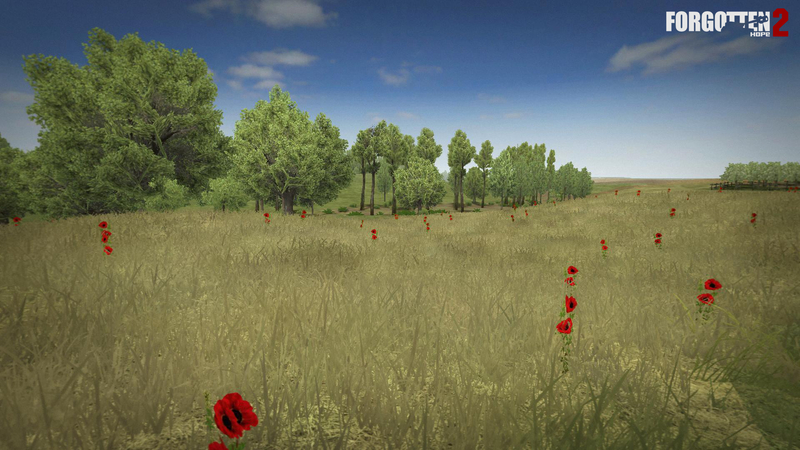 We have prepared a new release of Forgotten Hope 2 with a few small technical updates. 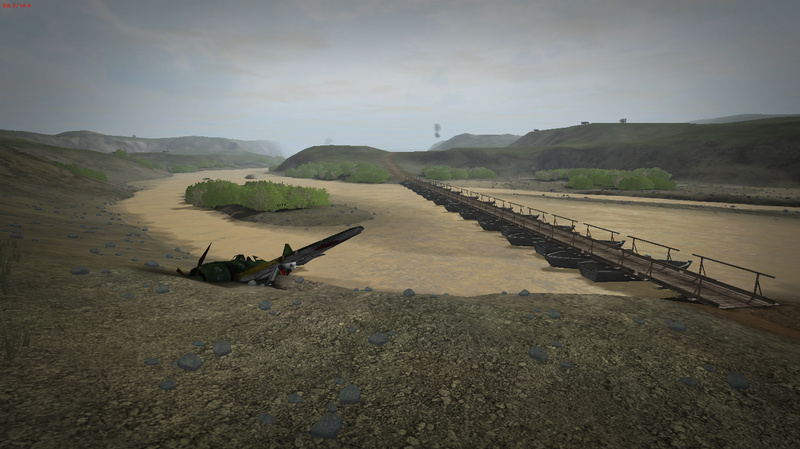 The ForgottenHope2.exe has been updated to fix the issue where a MG might fire when you try to zoom. The Launcher has been updated with new discord links. The BF2 Language Changer should now also set the correct keyboard layout. Otherwise there have been no content related changes, so the update size is just a few Megabytes. Servers do not need to update. FH 2.55 will be released around noon on the 28th of february 2019. 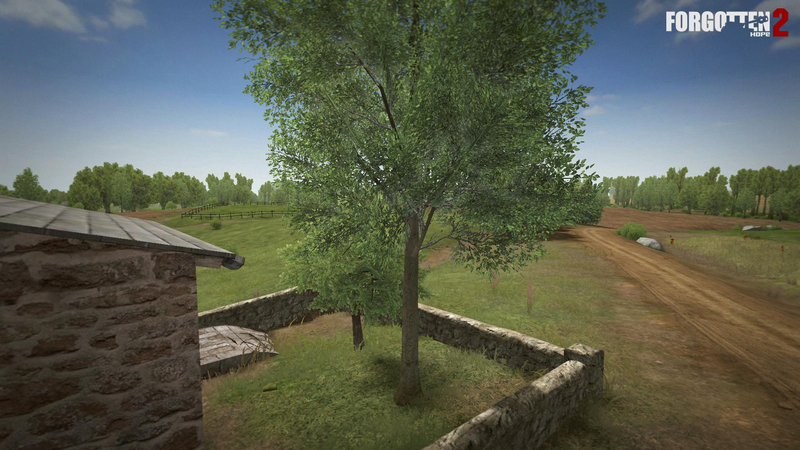 Today we have an announcement to make regarding a public test session this coming Saturday, where we will be putting the map Motovskiy Bay by Ts4EVER through some gameplay testing. 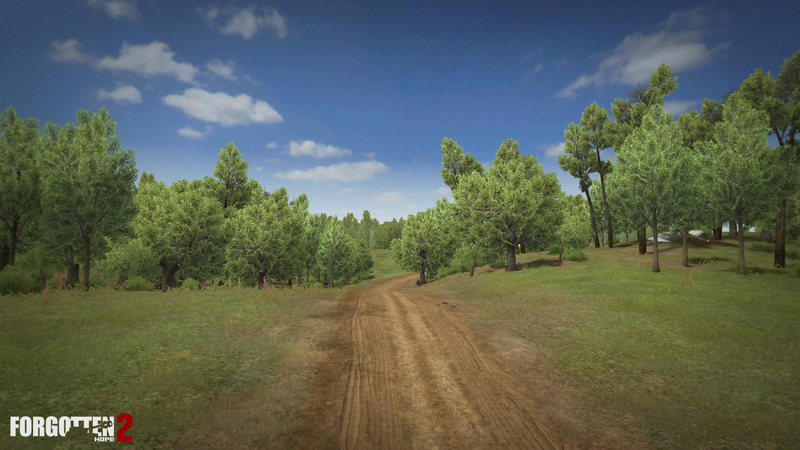 This has been organised with CMP Gaming, who will also be testing a couple of their own Community Mappack maps in the same event. 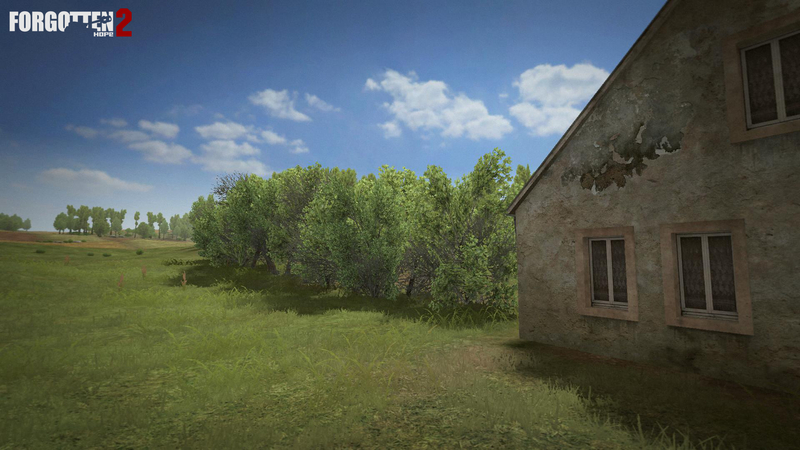 To join the playtest, you will need to use the latest version of the CMP Community Updater, which can be found here. Just download the archive, extract anywhere and run the installer. 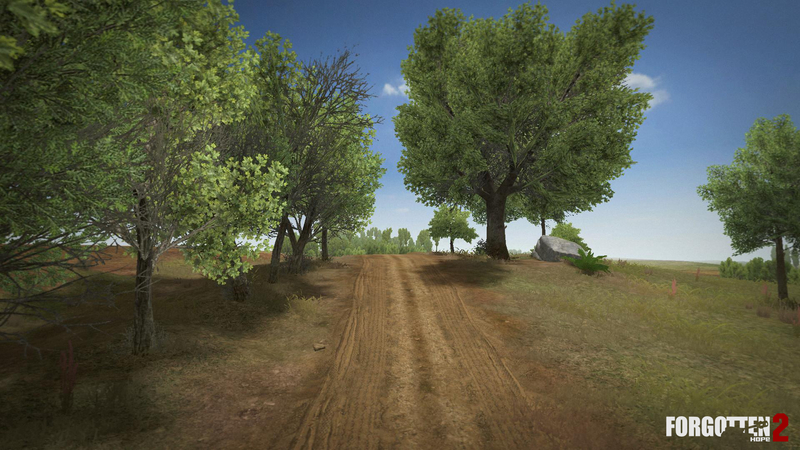 Set in April 1942 in the Arctic Circle on the coast near Murmansk, this map mirrors the incredibly sparsely populated and barren landscape of the area. 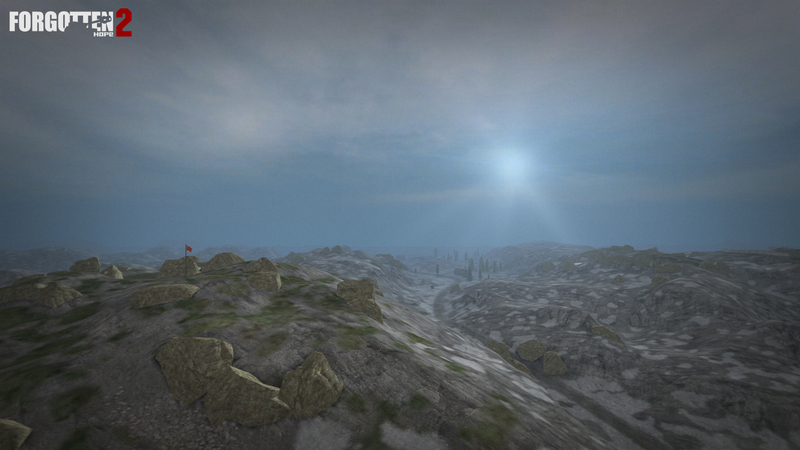 This map is pure infantry combat, with no supporting vehicles or heavy guns. Obviously this map is very much an early work in progress, but we would gladly like you all to come along and help us take a look at how it plays. You can leave any feedback you have in the feedback thread on our forums or over on our Discord. 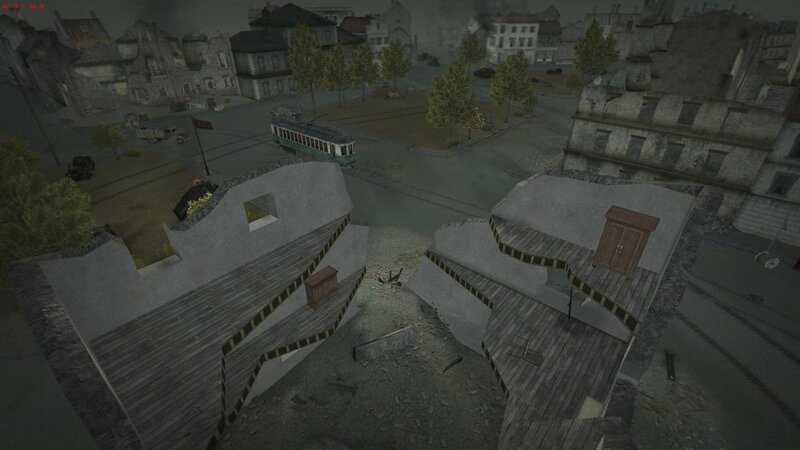 CMP are also going to be testing their maps Berlin and Khalkin Gol in the same event.